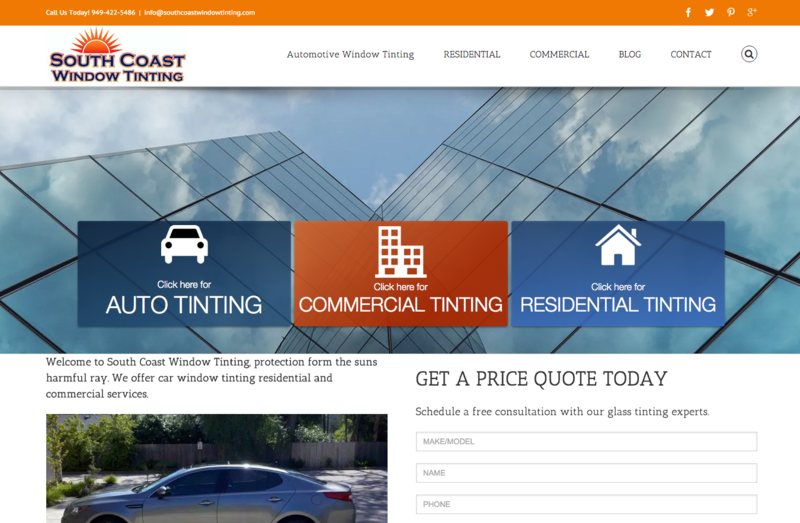 At SouthCoastWindowTinting.com we have a professional staff with 20 yeas experience in the car window tinting industry. Our installers are the best around and take pride in making you car, home or office look great. South Coast Window Tinting will can use high quality films like Solar Gard and Suntek that come with lifetime warranties against bubbling, peeling and fading. If you want to beat the heat, come check us out at our car window tinting shop in Irvine, just behind the scenic shores of Newport Beach. Let us protect your car, home, or business with strong, lasting shade!